Jacqueline Fink from Sydney’s Little Dandelion creates the most amazing chunky blankets, shrugs and baskets in pure unspun wool knitted by hand with huge needles. Her work is inspired by the need for sensory feedback and the love of texture and natural fibres. 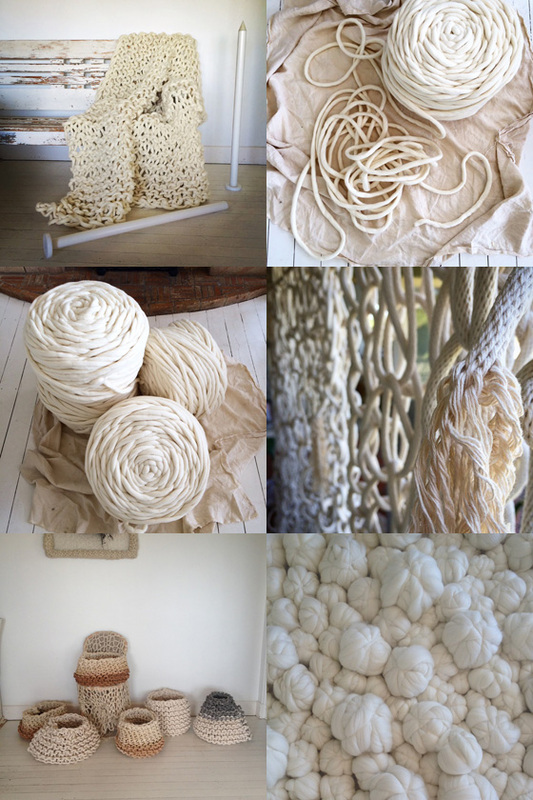 At the heart of Jacqueline’s work is the extreme scale the unspun wool allows her to achieve. Essentially, Little Dandelion is her quiet rebellion against mindless mass production and a loving contribution to a kinder and more conscientious world. To challenge preconceived ideas on consumption and inspire environmental action with accessories made from ‘local’ waste materials is the mission of the duo Caroline & Jenny who created the fancy brand Khogy. The name Khogy and their ethos is inspired by Los Kogis an indigenous tribe of people who live on the isolated mountain in the Sierra Nevada de Santa Marta in Colombia. Their understanding of human destruction of the earth and the connection of all things is grounded in ancient knowlege. 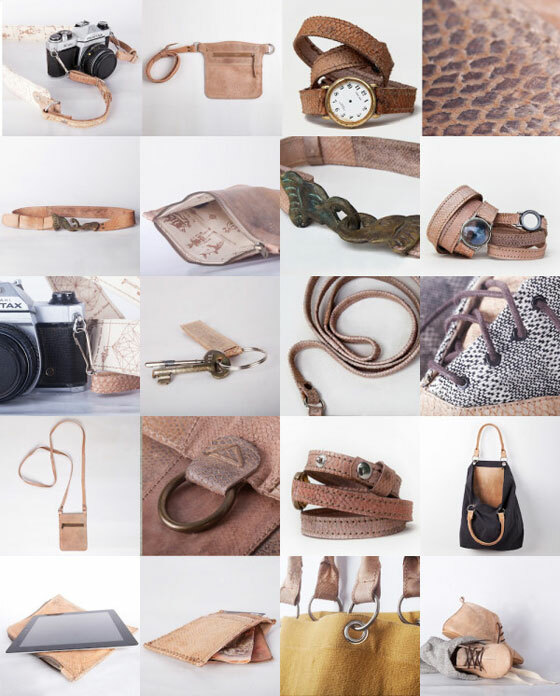 The Khogy collection is composed of a range of beautiful hand made Sri Lankan tuna hide footwear, bags & pouches and small accessories. Have a look at their lovely items and get a 20% discount until September 14th with the promotional code FISHFOREVER. 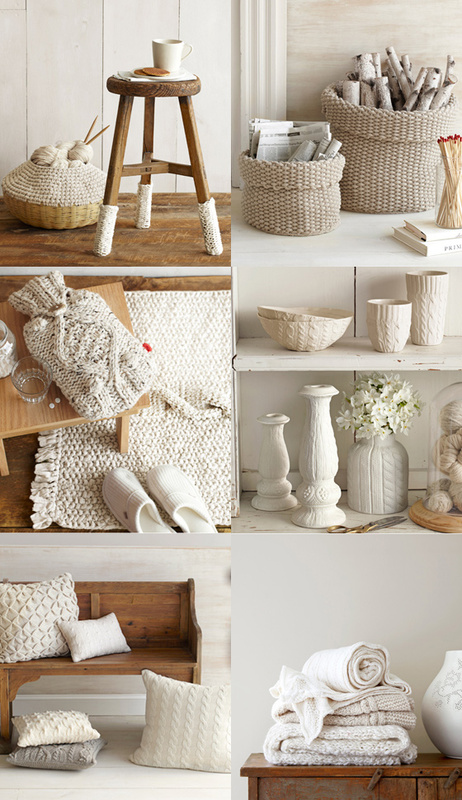 These interior knit inspirations shown in the magazine Country Living are just cozy. 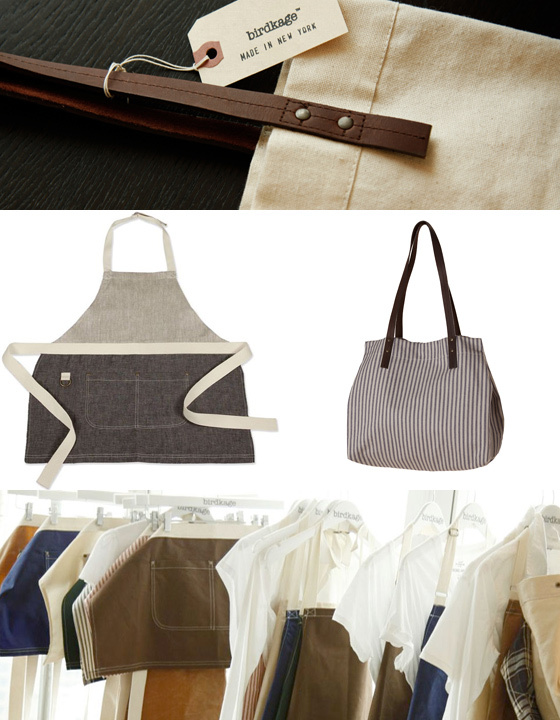 I just discovered the lovely aprons of Courtney Robinson who launched her label Birdkage in July 2010. The idea of her business was born one afternoon while she was painting. She found herself admiring the colorful patterns that accidental splatters left on her apron. With all the paint marks and bright splashes, it became like a custom-printed apron. There was a feeling of comfort and a crazy kind of magic there that she wanted to recapture. Her collection also features tea towels, neck scarves, market totes and zipper pouches. Sophisticated detailing appears throughout and includes natural linens, cotton prints, sailcloth grommets, and blue jean rivets. Dutch artist Paula Leen’s works revel in the feel of felt. Pillows, throws, rugs, curtains and wall hangings become canvases of tactile contrasts; the hard edges of vases and lamps dissolve into tenderness at the touch.